You probably didn’t expect to be reading about The Apprentice on a plumbing and heating website! Then again, we didn’t expect to be writing about it either! 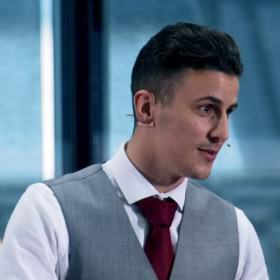 But when Joseph Valente won the 2015 series of the Apprentice with a business idea to expand his plumbing business, we could hardly ignore it! It’s great to see someone with a real passion for what they do and a complete understanding about what the business needs, which in the case of plumbing and heating is expertise and service. You’ve got to know what you’re doing, but even more importantly, you have to really, really look after your customers, every single one. What Lord Sugar said about the reputation of some parts of the industry, talking about trustworthy plumbers being as easy to find as Lord Lucan! was amusing but potentially a concern for him. He didn’t want to be called by Anne Robinson at midnight to answer questions about bad practice or terrible service delivered by a company he was an investor in. That’s why any lapse in service is disastrous to a good company, but Joseph convinced him that he would work night and day to make sure this didn’t happen. Something else Joseph realised, quite late in the process, is just how important technology is going to become both in terms of communication about plumbing problems (apps etc. ), but also the technology that is being and will be used in plumbing and heating. We use a lot of technology to programme and manage heating systems in particular, much of it wireless, and we also have a DPS Heating & Plumbingapp. As Joseph pointed out, plumbing has come a long way since Roman times! Good luck to him!